Restaurants have the incredible opportunity to promote their business and convey their brand outside your network. So do commenting on your friends’ posts, sharing photos of your food and staff, and putting out exclusive offers for your followers. To get to know more about this visit here. Register your restaurant on Google My Business. Having a presence on Google My Business adds credibility to your online presence. If someone is searching for you on Google, your hours, website, location, and photos will all be at the top of search results right in one place for searchers to see. The best part – signing up for Google My Business takes little time and it is free. Learn more about the importance of Google My Business and how to set it up your restaurant here. Old computers and old pos systems can clog your business nerves , handwritten orders can lead to mistakes or misunderstandings from your kitchen team. Without next generation pos system your restaurant’s efficiency is at risk of stalling, which limiting the amount of sales you can process in a given time. Bring the new pos system like RestoCaptain POS system which is feature rich .which can streamline your operations and access all the data you need to know how to increase your restaurant’s sales. Choosing a POS system is not as simple as it seems. It really depends on what type of restaurant you have and what different features you are going to need for your restaurant. 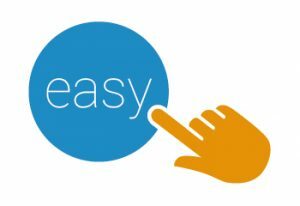 One of the most important things in a POS system is ease of use. You want a system that is easy, intuitive and visually attractive. You also want a system that is going to be easy to teach to an staff in a short amount of time. 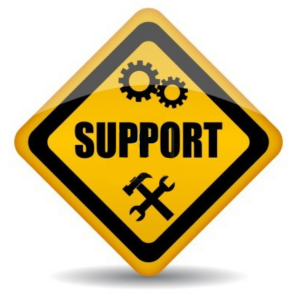 The second most important thing to consider when purchasing a POS system is support. Obviously, errors happen and there will be times you may need some help with your system. You want a company that you can rely on, that will be there when you need them and will have the solutions to your problems, as quickly as possible. Reviewing both email and phone support before purchasing your system should be one of top three things you do before choosing which POS system you are going to use. 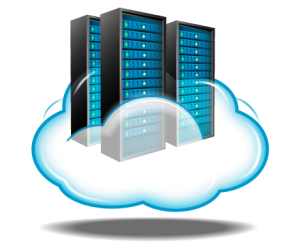 Finally, another big factor to consider when purchasing a point of sales system is whether or not it is going to be cloud-based or local server based. Having a cloud-based technology allows you to manage and control your restaurant from literally anywhere, at any time. 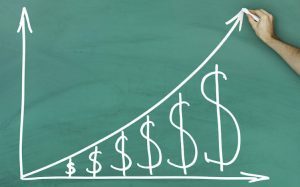 Hardware costs are also usually going to be lower, which can be helpful for small restaurants. If you have a larger restaurant, local servers will offer more stability and if you have a smaller restaurant, cloud-based technology will be more beneficial. The last factor to consider is how dependent you are willing to be on an internet connection and whether you are willing to work with newer technologies compared to something more traditional. Why am I not getting any success in Restaurant Business/hotels? I’m sure to run restaurant business very frustrating for you. The relief is that if you follow some next generation concepts then you can take to turn it around and start winning. I have seen and experienced that we spend a ton of time and energy creating the perfect restaurant/hotel, from its location, Interior, etc. but that’s not the fastest way to get success. Top real estate salespeople understand this. They don’t try to make an entire house look perfect before they sell it they focus most of their energy on entryway and experience. So as hotel owners what we have to focus is that restaurant process from food ordering to serving. This process should be fast and their not must be any chaos. I have been too many restaurant and saw that many restaurant work in chaos. They don’t have proper system in place to manage their restaurant. So answer to this question is to use next generation POS systems which are mobile/tablet based. So you and your team get perfect track of what is happening in hotel. You will get status of every food. So automate your hotel to increase revenue. What I recommend is that you use RestoCaptain POS. Because it is developed with very deep study of restaurant business. This is best restaurant pos system which runs on Android and on PC,Mac. RestoCaptain manages your restaurant inventory, customer billing, different offers, and Table reservation.etc. This is the best restaurant software present now in market. So use next generation technologies and start winning the game. POS stands for Point Of Sale. This is a system that is used throughout the restaurant and retail industry. This app based system allows business owners to track sales, cash flow, food inventory and can help simplify your bookkeeping enormously. The high volume of cash and credit cards that pass through a restaurant each day make a POS system a necessary. Not only does a POS system track every penny of your sales, many POS programs also act as credit card processors. This makes swiping credit cards more secure for both the customer and the business. Servers are accountable for all their sales, and it is impossible to alter checks in the computer unless you have the password. This helps cut down on employee theft. One benefit of a POS system is that it simplifies communications between the kitchen and the wait staff. Orders go through the computer, directly to the kitchen display,printer. Another benefit of a restaurant POS programs is that it can track everything from food usage, to the most popular menu items. Because the POS system acts as a time clock. This can save you a lot of money in your bookkeeping department. Along with the daily operations of running a restaurant, a POS system can organize profit and loss statement and sales tax. People tired of old computerized POS systems and now they want some handy and keeping in this mind we arrived with tablet based software which helps you to manage all daily works. 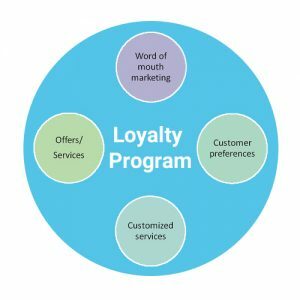 The important thing to remember is that generic loyalty programs don’t work, you need to customize them according to your restaurant and your customer base. Failure of the loyalty offers is because hotels doesn’t maintain the records for their customers. This is Restocaptain helps you Restocaptain supports loyalty programs and offers in which all the customer data is stored in the database. The hotel owner can simply use their phone number for identification. And as per the Restaurant offers that will get to him. You can easily integrate the customized loyalty program of your own choice into the Restocaptain software without any hassles. You can use your marketing skills to boost customer engagement. Tell your customers about the new event at you’re about to start . Whether you are launching a new dish, hiring a new chef, you should make your customers a part of your restaurant by including them in your milestones. 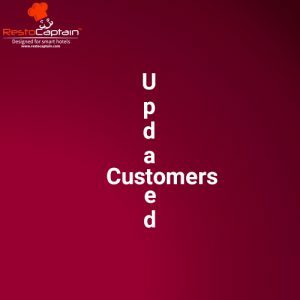 In Restocaptain we have given you the email and sms integration by which you always keep your customers updated. 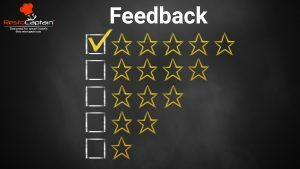 Feedback from customers is a must for effective communication as it gives you first-hand insights into your faults, and gives you an opportunity to grow as well. It also makes the customer feel valued. It is also a good idea to share customers’ reviews with your other guests, as it lends credibility to the brand. You can gather customer feedback by presenting them feedback form at the end of their meal, or send them occasional emails asking for their views on your hospitality. Restocaptain helps you to smoothly achieve perfect feedback management by providing paperless feedback system. Customers can give their feedback through a tablet which is integrated. Customer Relationship Management the charm which is very important. 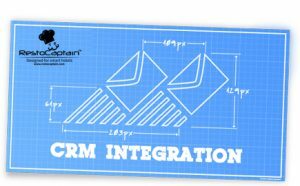 The CRM database gives you all the information and reports that you need to know about purchase and customer behavior and helps you take informed decisions based on the data. 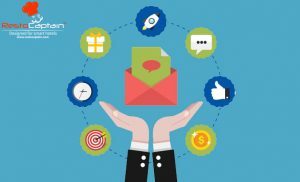 SMS marketing is considered an effective communication channel as SMSs have a high probability of being opened, and are an excellent way of converting potential customers into dining, happy customers. A good promotional SMS consists of actionable content that leads to high conversion rates. For example, a promotional message of your dish of the day, and the link to order it online generates home delivery orders. SMS integration with the Restocaptain POS allows you to send regular updates to your customers.